A National Supplier of Premium Walk in Tubs And ADA Compliant Handicap Shower Systems Announces A New Low Threshold Shower Line. 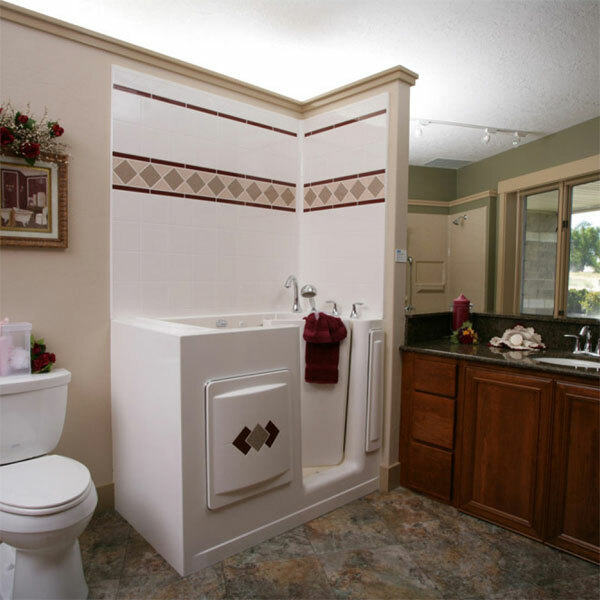 A top senior bathing products distributor, Aging Safely announces they will now be offering a new wheelchair accessible handicap shower line. These unique walk in or roll in type shower stalls may potentially be the right solution for the elderly and people with disabilities. 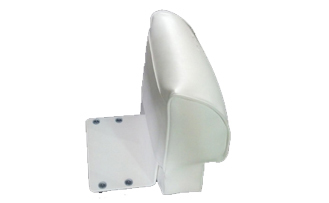 We now offer a vast selection of large and small handicap shower stalls with padded seats! A provider of ADA complaint walk in tubs and handicap shower systems, Aging Safely Baths announces a new walk in shower line. This new line of showers will include smaller more compact shower stalls and larger extra spacious options that may be suitable for an aging in place update or to make a bathroom handicap friendly. 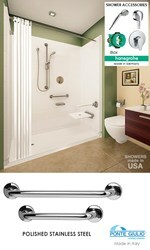 Finding the right handicapped shower can be easier with all of the size options that are available with this new line. The larger showers can easily fit a bather and their wheelchair. 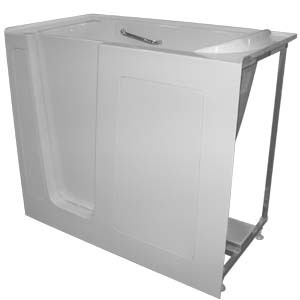 The appliance is also equipped with a built in padded seat which makes it possible for bathers to transfer from their chair to the shower seat. The shower comes with a 5’ wand which may potentially help bathers rinse off more independently and easily. According to the company, the warranties offered are industry leading. Durability and functionality are probably two of the most important things to consider when buying this type of specialty bathing product. Some roll in showers can potentially crack and be made of less than sturdy, substandard material. Whereas several of Aging Safely’s products are quality certified by 3rd party organizations to help ensure an excellent level of craftsmanship is achieved. These deluxe wheelchair access shower systems may also be the best solution for a hospital, nursing home, assisted living facility, rehabilitation center or a long term care center. Offering products with hydrotherapy, safety grab bars and low step in entries may help the marketing efforts of companies that cater to the elderly. In addition, having products that are cutting edge and conducive to fall prevention might possibly increase customer satisfaction rates of patients or residents. Furthermore, commercial organizations can be eligible for additional savings on products when they register for the company’s volume incentive program. Fall prevention is big business. Ultimately anyone can trip and have a dangerous fall. It is important to take precautions, however pretty much everyone is susceptible to having a fall at one point or another in their life. That is why having bathing appliances that have low step in entries may make it easier for some people to take a bath without falling or tripping upon entry. These products can also be installed into most residential locations without major modifications required. The company offers no cost or obligation consultations and can help shoppers decipher which product is right for them.